The Flash is a fictional comic book superhero from the DC Comics universe. 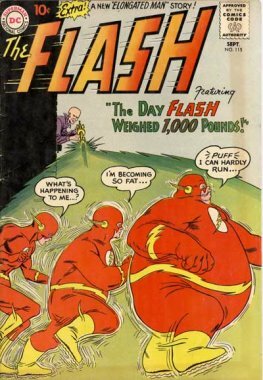 Created by writer Gardner Fox and artist Harry Lampert, the original Flash first appeared in Flash Comics #1 (January 1940). Nicknamed the Scarlet Speedster and the "Crimson Comet" all incarnations of the Flash possess "super speed", which includes the ability to run and move extremely fast, use superhuman reflexes, and seemingly violate certain laws of physics. Thus far, four different characters—each of whom somehow gained the power of "super-speed"—have assumed the identity of the Flash: Jay Garrick (1940–present), Barry Allen (1956–1985, 2008–present), Wally West (1986–2006, 2007–2012, 2013–present), and Bart Allen (2006–2007). 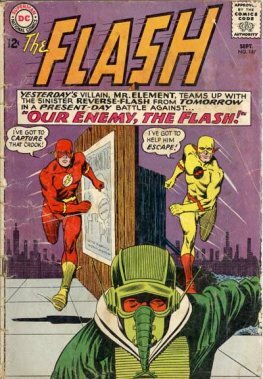 Before Wally and Bart's ascension to the mantle of the Flash, they were both Flash protégés under the same name Kid Flash (Bart was also known as Impulse). The second incarnation of the Flash, Barry Allen, is generally considered the first hero of the Silver Age of comic books and the version of the hero most often featured in live action shows. On May 6, 2011, IGN ranked the third flash, Wally West, #8 on their list of the "Top 100 Super Heroes of All Time", stating that "Wally West is one of the DCU’s greatest heroes, even if he doesn’t rank as the original "Scarlet Speedster". 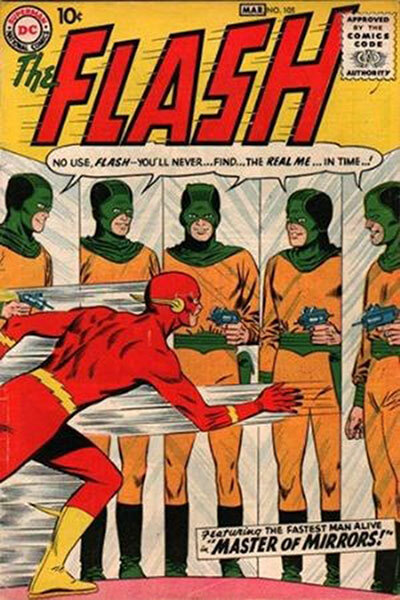 Each version of the Flash has been a key member of at least one of DC's premier teams: the Justice Society of America, the Justice League, and the Teen Titans. Wally West has recently rejoined the Justice League, and Barry Allen recently returned to life in the pages of Final Crisis. The Barry Allen version of the character (with Wally West elements) was featured in a live action television series, simply titled The Flash, in 1990, starring John Wesley Shipp. The Wally West version of the Flash (but with many elements of Barry Allen's story) is featured in the animated series Justice League. All four incarnations of the character have appeared in the Young Justice animated series, with the Wally West version of Kid Flash as a main character in the first season. A new television series, also simply titled The Flash, staring Grant Gustin in the title role premiered on the CW on October 7, 2014. This new program features a younger Barry Allen with numerous elements of the earlier show as well as using many characters from the larger DC Universe.